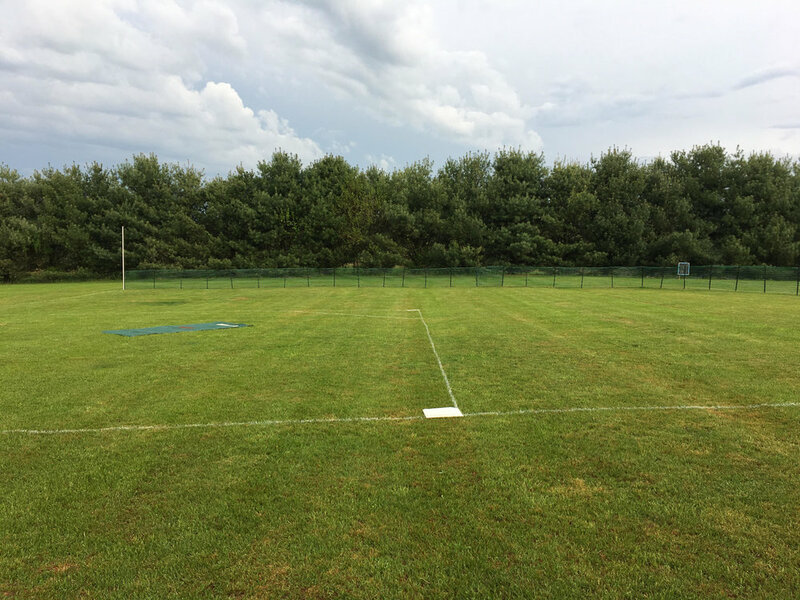 Shi Park - a two-field complex located in York, Pennsylvania - is the home to Mid Atlantic Wiffleball tournaments. Initially constructed in 2016, the fields undergo constant upgrades and maintenance to ensure the best overall playing experience. Built in 2016, Sheff Field is MAW's signature field and is a favorite of all players. The forested backdrop makes for an excellent batter's eye and the field plays relatively wind-neutral. Left field is 87 feet, left center is 100 feet, dead center is 105 feet - all with four foot high fences. Right field is a lefties' dream - just 75 feet but with a 10 foot fence that goes down 2 feet feet in each section of the power alley. Signs to commemorate several regular MAW teams adorn the left field wall. In right field are signs celebrating the accomplishments of prior season award winners and champions, as well as the "Wall of Wifflers", which pays tributes to some of the very best to ever play the fast pitch game. Buffalo Field sits below Sheff with trees overlooking the left field fence and Sheff sitting behind the right field wall. The field plays pitcher-friendly to neutral depending on how hard the wind is blowing. The right and left field fences are 93 and 90 feet down the lines, respectively. With alleys measured at 100 feet from home plate and straight away center 113 feet away, pitchers can limit the damage on this field by keeping the ball to the big part of the park.